It’s time for some RiME news. As you might recall, the open world adventure/puzzle game developed by Spanish studio Tequila Works was originally meant to be published by Sony as a PlayStation 4 exclusive. However, after years of silence, five months ago Tequila Works reacquired the IP rights to RiME from Sony. Today, a press release clarified that the game will now be co-published by the developer, Grey Box and Six Foot. We’ve always wanted RiME to captivate players’ imaginations, capturing that feeling of being a child and experiencing the wonders of a bedtime story for the first time. We’re so excited to find in Grey Box and Six Foot partners just as eager as we are to make that vision for such a personal project a reality. From its very first moving reveal, RiME has been a game that has excited and fascinated our team. Tequila Works has put an immense amount of passion and creativity into shaping a beautiful and deeply personal universe, and we’re all excited to share that experience with gamers next year. The game, which begins with a young boy shipwrecked on a mysterious island after a torrential storm, will be re-revealed at the beginning of 2017 for a planned release at some point next year. 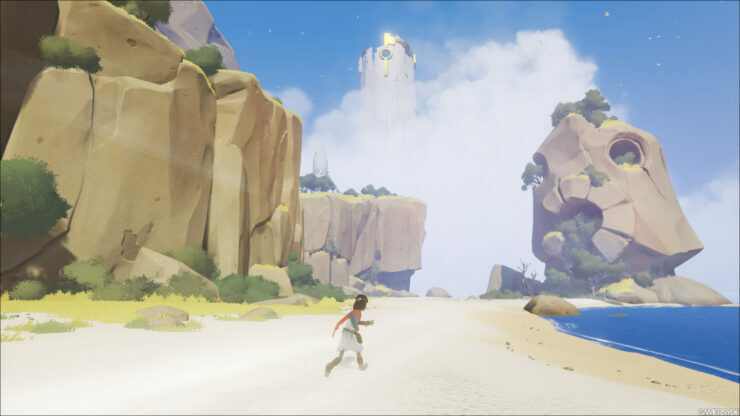 No specific platforms were mentioned, but now that there are no ties to Sony it’s hard not to imagine RiME heading at the very least to PC, PlayStation 4 and Xbox One.